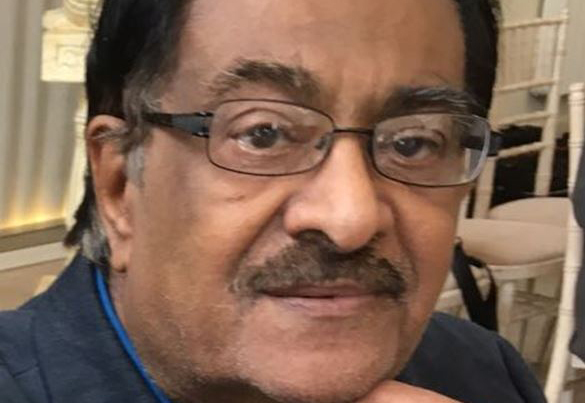 Leicestershire Police is appealing for information that will assist in its investigation into the murder of a 74-year-old jeweller, as the victim’s family today paid their tributes and urged anybody who can help to come forward. Ramniklal Jogiya, who worked at Vama Collections, failed to return home after leaving his shop in Belgrave Road, Leicester, on Wednesday 24 January 2018. Initial enquiries have established that he was pulled into a vehicle and taken against his will from the area of Belgrave Road. It is thought by policing authorities that the incident at the store in Belgrave Road was a pre-curser to the events leading to the death. Mr Jogiya’s body was found at about 10am the next morning (Thursday 25 January) in Gaulby Lane, Stoughton, near Leicester Airfield, and a post-mortem examination has taken place and a murder investigation has been launched. A CCTV image released by the Leicestershire Police shows the vehicle in Abbey Lane having emerged from Beaumont Leys Lane at 7.07pm on 24 January. Police have since recovered the van after it was found burnt out in a car park in Marsden Lane, Aylestone, on the afternoon of 26 January. In an open letter to anyone who has information about the death, detective chief inspector, David Swift-Rollinson said: “Mr Jogiya was a husband, father, brother and well-known businessman who was innocently walking home when he was pulled off the street and bundled into a van. This morning Mr Jogiya’s family issued their own video appeal, which can be viewed below. At this point in the investigation three men, aged 19, 20 and 23, have been charged with the kidnap and robbery of Mr Jogiya. They appeared before Leicester Magistrates’ Court on 31 January and were remanded into custody to appear at Leicester Crown Court on 28 February. Four other men, aged 18, 20, 22 and 29, who have been arrested on suspicion of kidnap and murder, remain in police custody. Javon Roach, 29, of Norwich Road, Leicester, has this been charged with kidnap and robbery of Mr Jogiya and is due to appear before Leicester Magistrates Court today.